MARINA TO OCEAN IN MINUTES! 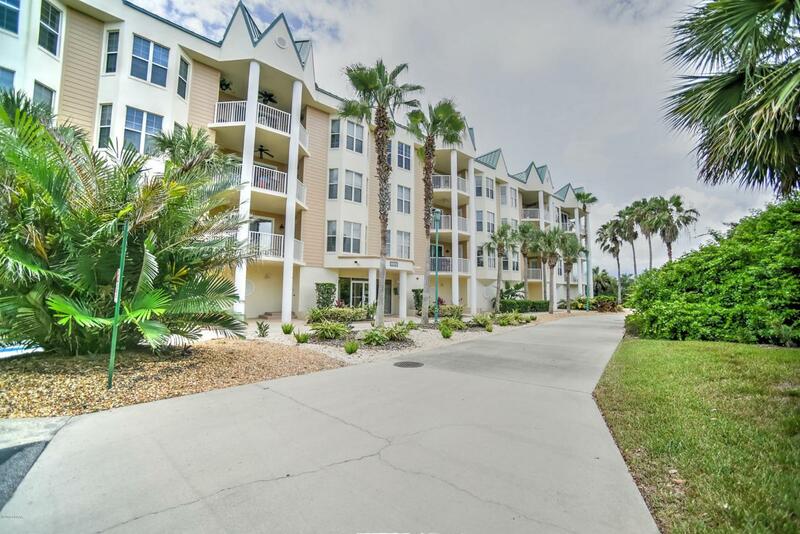 There is nothing like this resort style community in this part of Florida! 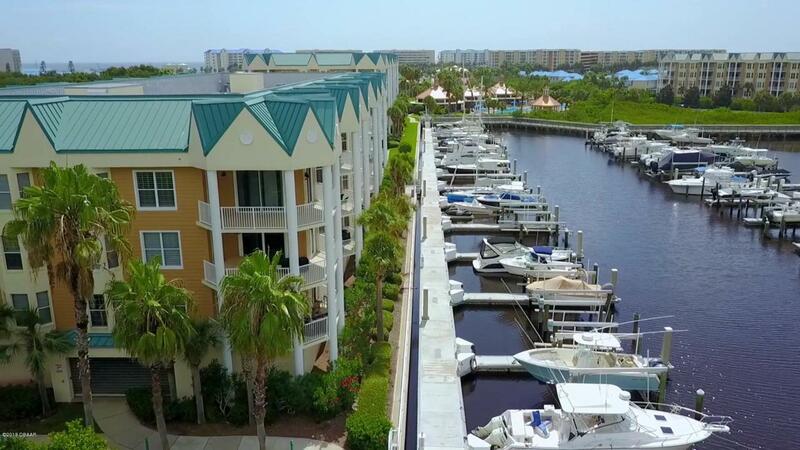 Live on the marina with awesome views of the Intracoastal Waterway. Feel like a day at the beach, enjoy the beachside clubhouse and pool. If Tennis is your thing, that's here to. There is even a private restaurant/club on the property, community pools and fitness center. 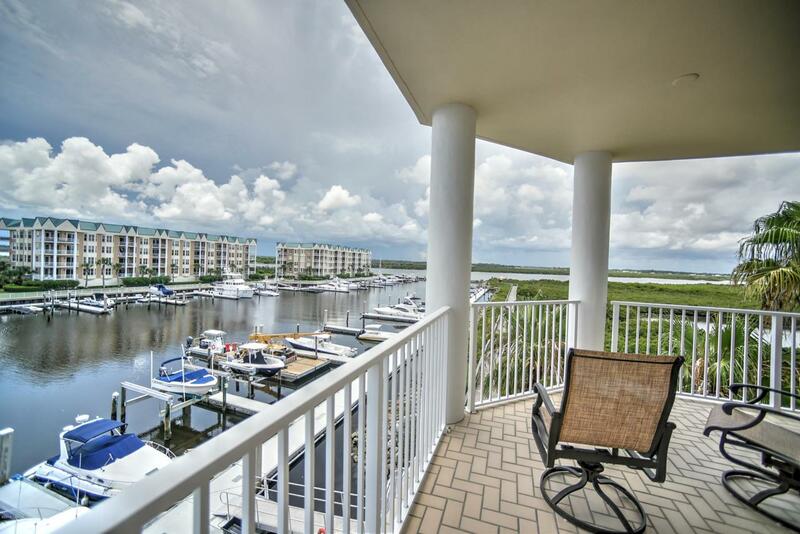 SW corner Penthouse, 3 bedroom, 3 bath unit has wide open views and room to roam. 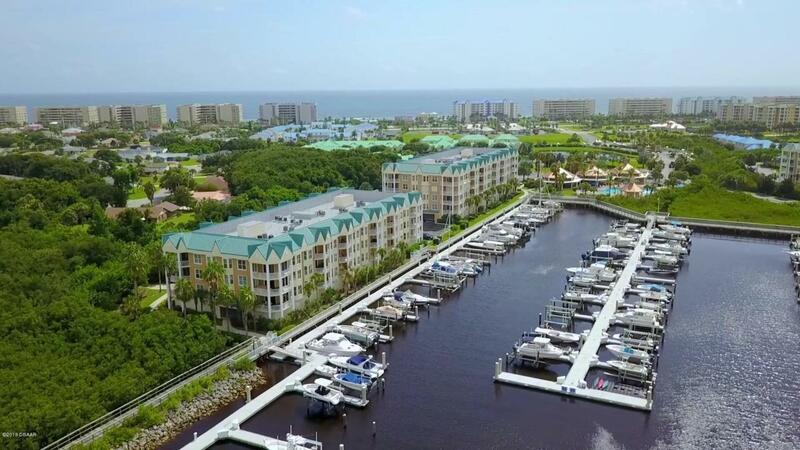 This most desirable Sailfish model is light and bright with water views from every room, 2 Master Suites, a flowing layout, great storage, plantation shutters and 2 balconies. Garage parking, bike storage and 1 storage unit. The original developer considered this unit to have the best location in the complex. Enjoy watching the boatspass and the breathtaking sunsets! The seller also has a 58ft slip (#19) (MLS# 1051431) available for sale near the unit. Get both with package discount. Listing courtesy of Doug Gernert of Re/Max Signature. © 2019 Daytona Beach Area Association of Realtors®, Inc.All rights reserved. IDX information is provided exclusively for consumers' personal, non-commercial use and may not be used for any purpose other than to identify prospective properties consumers may be interested in purchasing. Information is deemed reliable but is not guaranteed accurate by the MLS or Memory Hopkins Real Estate. Data last updated: 2019-04-19T00:24:30.293. © 2019 St. Augustine & St. Johns County Board of Realtors. IDX information is provided exclusively for consumers' personal, non-commercial use and may not be used for any purpose other than to identify prospective properties consumers may be interested in purchasing. Information is believed to be accurate but not guaranteed by the MLS or Memory Hopkins Real Estate. Data last updated 2019-04-18T23:30:37.583. © 2019 Northeast Florida Multiple Listing Service, Inc. All rights reserved. The data relating to real estate for sale on this web site comes in part from the Internet Data Exchange (IDX) program of the Northeast Florida Multiple Listing Service, Inc. Real estate listings held by brokerage firms other than Memory Hopkins Real Estate are marked with the listing broker’s name and detailed information about such listings includes the name of the listing brokers. Data provided is deemed reliable but is not guaranteed. Data last updated 2019-04-19T00:24:34.69. © 2019 Flagler County Association of Realtors®, Inc. All rights reserved. IDX information is provided exclusively for consumers' personal, non-commercial use and may not be used for any purpose other than to identify prospective properties consumers may be interested in purchasing. Information is deemed reliable but is not guaranteed accurate by the MLS or Memory Hopkins Real Estate. Data last updated: 2019-04-18T23:45:45.62.